Use OFFER CODE "OFF100" to get Rs 100/- OFF..!!! 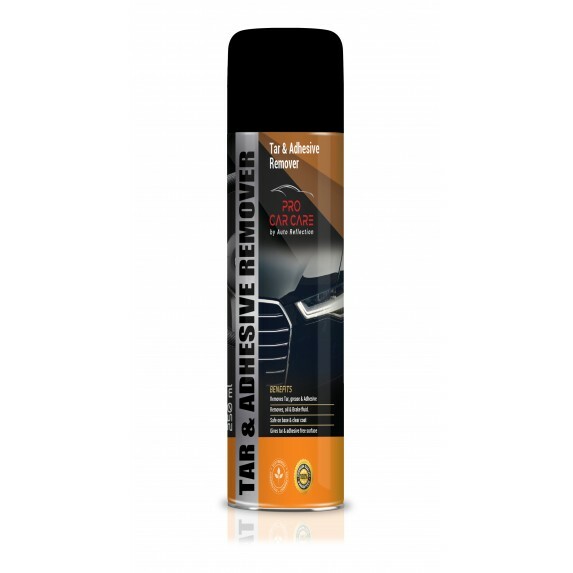 Pro Car Care Tar Remover is specially formulated to remove tar, asphalt and adhesive materials that splatter up and sticks to your automobile, by dissolving it at the area itself. This formulation is a blend of petroleum solvents specially designed to dissolve off impurities. 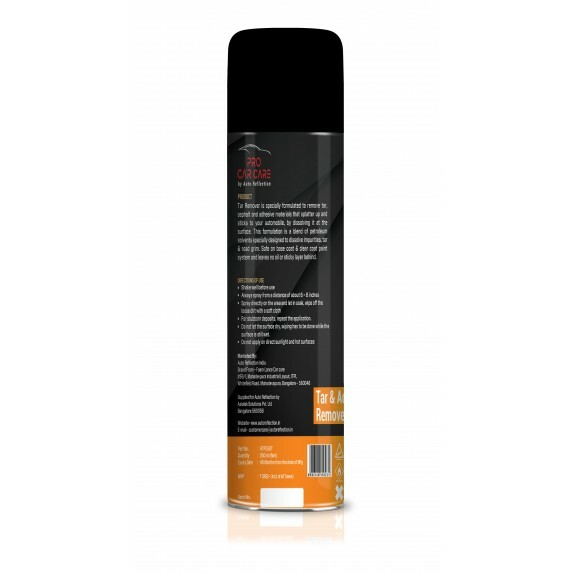 Safe on base coat & clear coat paint system and leaves no oil or sticky layer behind. Spray directly on the area and let in soak, wipe off­ the loose dirt with a soft cloth For stubborn deposits, repeat the application. Do not let the surface dry, wiping has to be done while the surface is still wet. Do not apply on direct sunlight and hot surfaces. "Subscribe to our Newsletter to stay updated for offers , New Launch, Auto News & Also get Coupon of Rs 100 /- For First time Subscribers"